The Department is graded as good with aspects of outstanding practice based on the department review in 2015/16. Mrs Beckingham is the Subject Leader and all programmes are delivered by Mrs Beckingham. Mrs Carbery is the allocated CSA for the department. Mrs Carbery is an excellent support to students and offers one to one support in lessons. Mrs Beckingham regularly meets with the Hair and Beauty teacher at another school to share good practice. The Department offers the VTCT (Vocational Training Charitable Trust) Level 2 Certificate in Hairdressing and Beauty Therapy as a formal qualification although students will also cover a range of practical hairdressing and beauty skills along the way such as facial treatments, manicures and Indian Head massage which come with an in-house certificate of competency. 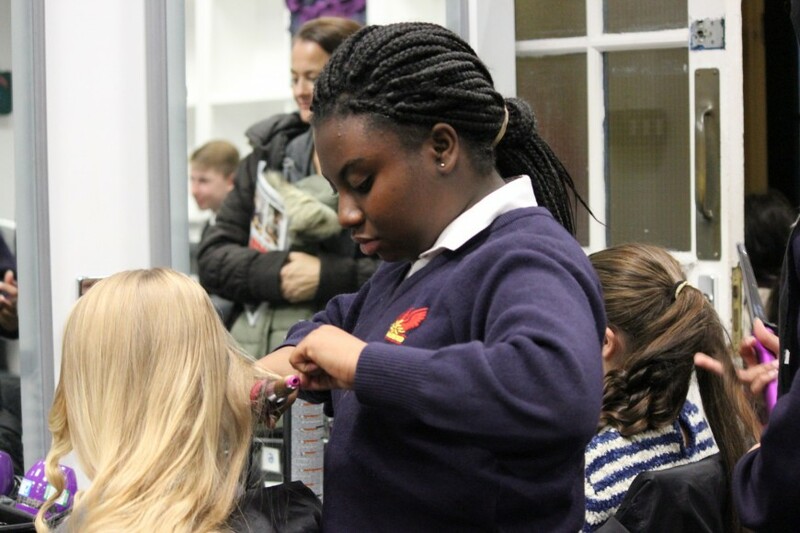 The department is well resourced with access to laptops in the classrooms and up-to-date hairdressing equipment. Mrs Beckingham is an excellent leader in Hair and Beauty; the department is a very hard-working team of two who support all students to ensure they all achieve to their maximum potential on the course. The department has had a fantastic success rate with 100% of students achieving a pass or higher in the course since it started. The quality of marking and feedback in Hair and Beauty is excellent and this was highlighted in the recent OFSTED inspection. Teaching and learning in the department is good with outstanding features. Lesson observations and learning walks confirm this. There is close monitoring of student progress and detailed intervention tracking systems are in place, which all support the outcomes that students achieve. 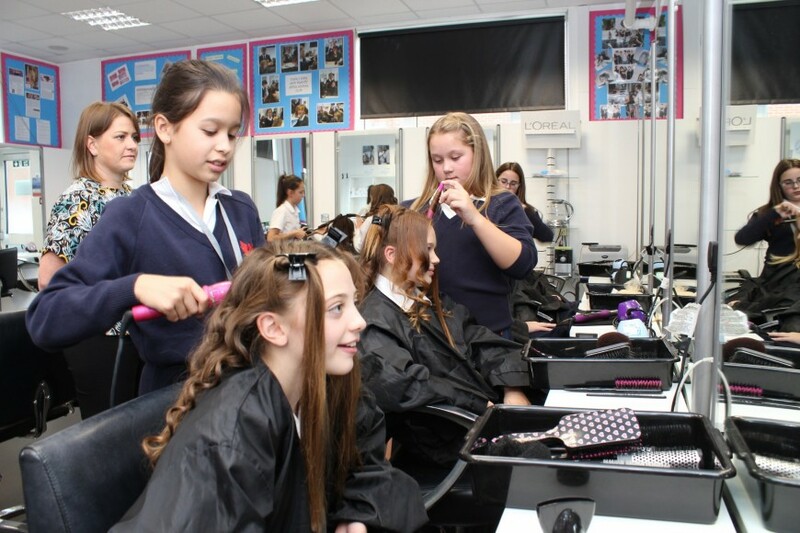 Students are very enthusiastic about their learning in Hair and Beauty and participate fully both in lessons and in extra-curricular clubs. 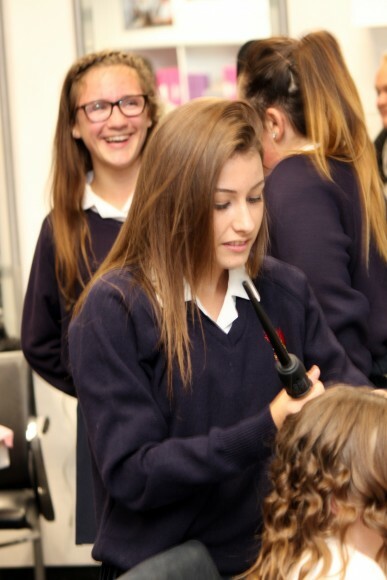 Students feel safe and supported in lessons and this enables them to feel confident to carry out practical Hair and Beauty tasks on their peers. Students enjoy the practical elements of the lessons, working collaboratively with each other and also understand the importance of their written work with a focus on their literacy skills. Behaviour in most lessons is excellent; there are excellent relationships between students and teachers in all key stages. Students speak very positively of the support they receive in lessons and with coursework. Students are confident to express themselves thoughtfully within the classroom, and they work well independently and in small groups applying their knowledge to practical situations. In September 2016 many students went onto Hairdressing Apprenticeships in salons such as Toni and Guy, Iconic and John Fraser Jenkins. Employers were impressed that students had covered this qualification and adapted well to salon life with the skills they had learnt. We have had a number of employers asking if we have any suitable students for recruitment. Iconic has regularly recruited our Hair and Beauty students and all have gone on to have a successful career in Hairdressing. Several students also progressed to full time beauty courses; these students were able to access Level 2 courses straightaway as a result of having covered the Hair and Beauty VTCT Level 2. The department runs intervention sessions for those needing support with their written work; these are at break/lunch times. At KS3 the department runs an after school club once a week for students. Ongoing evaluation of new units being covered. Introducing a Level 3 course into the Sixth form. Reviewing the curriculum structure at KS4.